A header from a corner by Ahmed Hegazi on his debut secured West Brom an opening day win against Bournemouth at the Hawthorns. The Baggies took all three points in a relatively comfortable win to kick off their Premier League season as Hegazi (30) powered in the decisive goal from point-blank range. 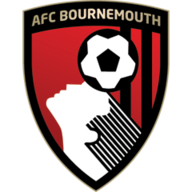 Despite dominating possession, particularly in the second half, Bournemouth struggled to break down a compact, organised West Brom defence who were rarely troubled all afternoon. West Brom's threat from set-pieces proved to be the difference, with Hegazi enjoying a day to remember. Jermain Defoe started on the bench for the Cherries as Benik Afobe started up top with Josh King behind him. £20m signing Nathan Ake started in defence while Asmir Begovic also makes his debut. For West Brom, Ahmed Hegazi started at central defence in place of the injured Gareth McAuley. There's a place in the starting XI for 19-year-old Sam Field while Jay Rodriguez also makes his competitive debut after joining from Southampton in the summer. Jonny Evans and James Morrison missed out through injury. The contest began slowly but Jay Rodriguez looked keen to impress his new boss Pulis, who signed a new two-year contract on Friday. The former Southampton striker tested Asmir Begovic early with a shot from distance before having a close-range attempt saved by the Bosnia international. West Brom, a notoriously threatening side from set-pieces, profited from another one as Chris Brunt's in-swinging cross towards the penalty box was headed in by Hegazi from close range. The Egypt international nearly scored another two minutes later, but his strike from just outside the box went narrowly over the bar. The Baggies kept applying the pressure in an opening half where Bournemouth struggled to forge any real clear-cut opportunites. And, just minutes before the break, Ben Foster made a crucial slide tackle on Josh King to prevent him from having a shot on goal. West Brom started the second half brightly and continually proved dangerous from corners. Brunt had a corner cleared off the line while Phillips' ball in for Claudio Yacob struck the post. Bournemouth enjoyed the lions share of possession for the rest of the match, but they could not find a way past the resolute West Brom defence and had just two shots on target all game. 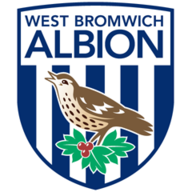 Substitute Salomon Rondon would have scored for Albion in injury time if it not for Begovic, who tipped his curling strike around the post. West Bromwich Albion have won successive opening day fixtures in league football for the first time since 1992. Bournemouth have lost all three of their opening day fixtures in the Premier League, losing 1-0 to Tim Sherwood's Aston Villa in 2015, Jose Mourinho's Manchester United 3-1 last year and to Tony Pulis' WBA today (0-1). The Baggies had 28.8% possession in this match - the 15th occasion that WBA have had less than 30% possession in a Premier League game under Tony Pulis. Of those 15, they've won six. WBA's Rekeem Harper was only the second player born this century (08/03/2000) to play in the Premier League, after Man Utd's Angel Gomes on the final day of the 2016-17 Premier League season. West Brom boss Tony Pulis says his squad is not strong enough despite beating Bournemouth 1-0. Tony Pulis: "We want everybody to chip in and the quality we got from set plays today was absolutely fantastic and how we never scored more than one goal I just don't know. "We need to get some players in and quickly. Sam Field did fantastic today and Rakeem but we need to get more players and good players. Everybody from around the football club is waiting for them to come in." Bournemouth boss Eddie Howe says his side didn't create any clear cut chances despite their possession during their defeat at West Brom. Eddie Howe: "I'm disappointed. I thought with the set-plays we obviously didn't deal with that well. It's unlike us to have so much possession and not create what I felt was a really good chance was probably the most disappointing thing. "I was disappointed with the build-up to it [the first goal], which against West Brom puts you under pressure so that's disappointing. They defended very well and very deep with numbers"
"Last season West Brom scored over 40 per cent of goals from set plays and they've done so again today. As Eddie Howe said, if you're not prepared to defend against those then they're going to score. "[West Brom] need to bring in some more players. We heard this from Pulis last season, and because he does so well, they do get complacent and they can't afford to do it again this year. He realises they need to bring in more players than last season. The board needs to back him." Hegazi may not have started if Jonny Evans was injury-free, but he certainly impressed as he converted a header from a corner and then went on to keep Josh King and Benik Afobe at bay and secure a West Brom clean sheet. West Brom travel up north to take on Burnley next Saturday while Bournemouth prepare to face Watford which also kicks off on the same day at 3pm.